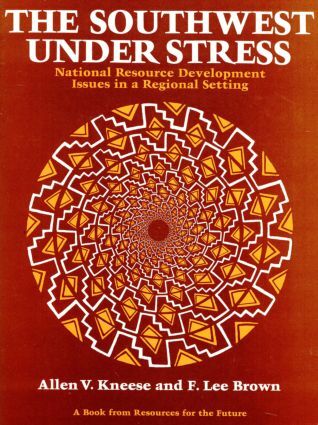 Southwest Under Stress examines the development-environment conflict in the four contiguous states of Arizona, Utah, Colorado, and New Mexico. It emphasizes three issues with implications that extend far beyond the Southwest: water---its quantity, quality, and allocation; environment---how and to what extent it should be preserved; and the future of Native American and other poverty-stricken peoples. Energy comes in for special attention because the Southwest is a principal repository of fossil and nuclear fuels. This book serves as a guide for public policy in the region, and many of the policy alternatives set out are aimed at state and local governments. Alleviating poverty, improving the lot of Native Americans, and formulating workable water, environmental, and natural resources development policies are all of special concern to the region, but the federal government has asserted a dominant role in may of these areas. The book discusses ways in which the federal role may change to improve both federal policy itself and cooperation with other levels of government.